Compared to heavy weight lifting, which contracts and shortens the person’s muscles, creates a weird bulkier look, yoga helps in developing a long-term, defined, and fluid look with the help of isometric poses that make the muscles active while maintaining their length. This kind of resistance encourages lean muscles in toned arms, which improves the overall confidence levels of the individual. 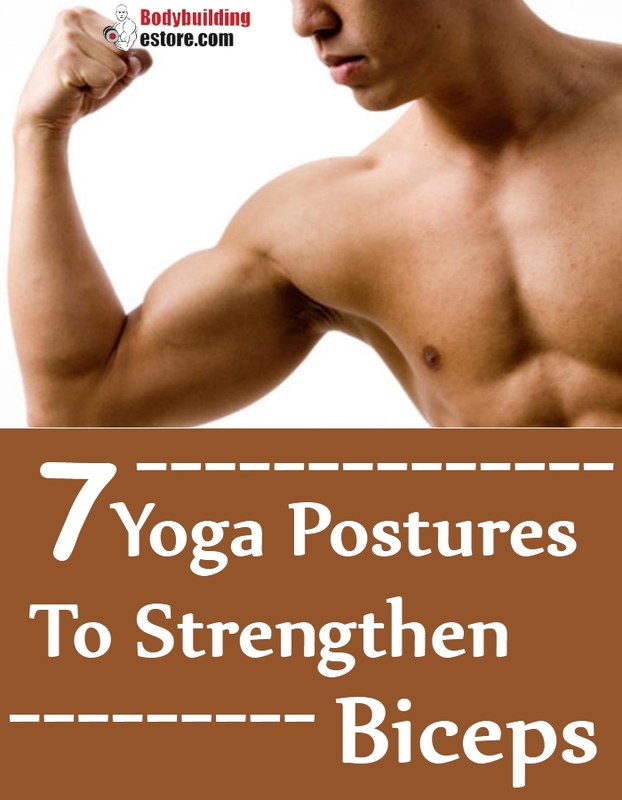 The 7 different types of yoga exercises followed to strengthen biceps engage the muscles of the individual’s core. These exercises completely nullify the need for any kind of equipment; all the individual needs is a towel or a yoga mat. Individuals who want to improve the strength in their biceps should place their hands on a mat with their wrists under shoulders and take the position of a high plank. The abs should be tight and the spine should be kept long. The plank’s position should be held for a minimum of 10 breaths. Then the individuals should take the position of a dog that is facing downward by lifting their hips up and moving the weight back; this should be done 5 times. After this, the individuals should take the position of a high plank. From the position of a high plank, the body should take the position where it is shifted forward in such a way that the shoulders are above the tips of fingers. The person getting into this position should exhale and slowly bend his/her elbows by a few degrees. As the arms are straightened, the person should inhale. This should be repeated five times after, after which the person should take rest, and the same set should be repeated one more time. The person should lie on his/her stomach. The tops of the feet should rest on the mat and the feet should be kept hip-distance apart. Arms should be kept straight and rest next to the body with the biceps and palms face toward the mat. As the person inhales, the chest and arms should be lifted away from the mat. The person should pause and go lower and then repeat this for five times. The hands should be moved next to the waist and the palms should be kept under the elbows. The person should inhale and the chest should be moved away from the mat. The person should exhale and lower his/her back down. This should be repeated five times. The forearms should rest on the floor with the elbows under the person’s shoulders and the finger should be interlaced. The person should walk with his feet back until his legs are straight. This position should be held for 10 slow breaths. The person should turn around and sit with his/her legs together and stretched in front of him/her. The hands should be placed behind the torso with the fingertips face toward the feet. The person should keep the knees straight, should inhale and lift the pelvis away from the mat. The person should hold this position for five deep breaths, take rest, and repeat the entire procedure one more time. The person should lower his/her tailbone to the mat. He/she should deeply exhale and slightly bend his/her elbows, deeply inhale, and straighten his/her arms. The person should ensure that the elbows are tracked close to the body and points directly back. In order to increase the intensity, the person should lift himself/herself into the position of a reverse plank.